There are a lot of decisions that need to be made during a kitchen renovation. One that you don't want to overlook? Choosing between a duct or ductless range hood. Read on to find out which option is best for your house. If you’re thinking of upgrading your kitchen with new appliances, don’t forget the range hood. There are a dizzying array of models and options available these days. But probably the most important decision you’ll make is whether to go with a ductless model—that does not vent to the exterior of your home—or a ducted model that does. Ductless models use suction fans to draw in air and circulate it through a charcoal filter. They do a decent job of trapping grease and some odors, but they’re no match for ducted models, which pull air in, then nudge it out of your home through a vent in the wall or the attic. 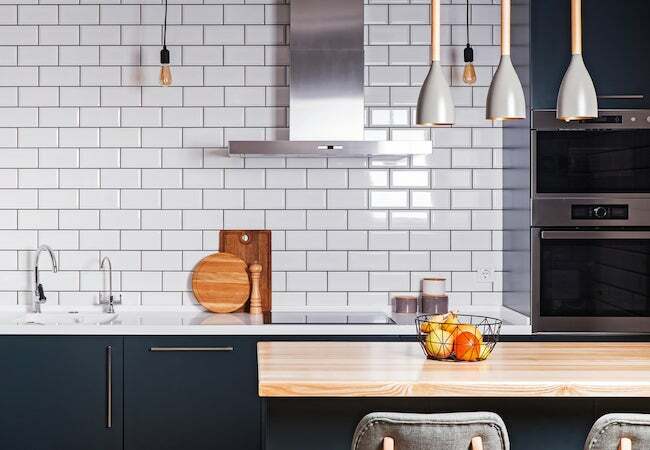 If you’d rather listen to conversation and music when you cook—rather than the fan on your range hood—choose a ducted model whose fan is positioned up in the ductwork, rather than just over the stovetop. And while you’re updating, you might want to swap your old microwave for one of the new models that have ductless venting systems or else can be paired with a ducted hood—just like your conventional oven.